This New Year’s, instead of rubbing elbows in crowded Boston, Hartford, and New York City, travel to our luxury Berkshires bed and breakfast. We’re close enough to these cities to be convenient, but far enough away to be something special. 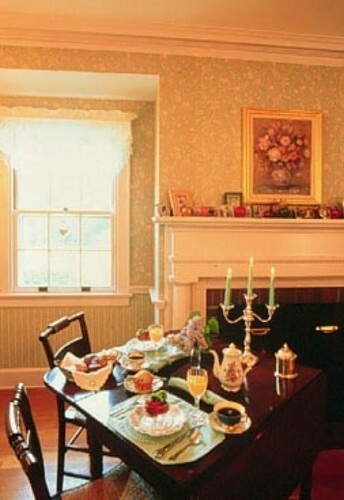 Enjoy the first meal of 2011 at our luxurious bed and breakfast in the Berkshires. Spend two or three nights in beautiful Western Massachusetts and let us pamper you. Enjoy wine and cheese in the parlor before dining at one of the good local restaurants. When you return to your room after dinner, you’ll find chocolates and a decanter of Brandy awaiting you. Break your fast by candlelight, on crystal and fine china. Spend your days exploring charming New England towns, skiing, or relaxing by the fire. On New Year’s Eve, we’ll break out the champagne and feast on tasty hors d’oeuvres. Laugh and cry over the best and worst of 2010, and share your aspirations for 2011. Play a song or two on the piano, challenge each other to a game, or simply enjoy conversation with friends, old and new. Finish the evening with more brandy and chocolates, and sleep peacefully. On New Year’s Day, sleep late and then start the year off with a gourmet brunch by candlelight. We’re happy to combine some of our other packages with our 2010 Bershires b&b New Year’s Special. Contact us to discuss your options; call toll free: (800) 691-9012 or email info@applegateinn.com.